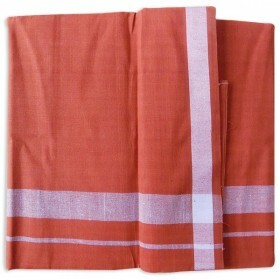 Kerala traditional handloom kasavu set churidar brings to you 100% authentic handloom in multip.. 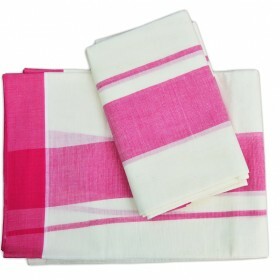 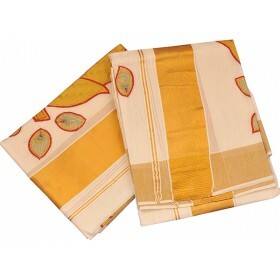 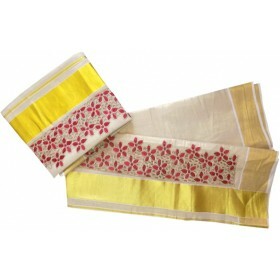 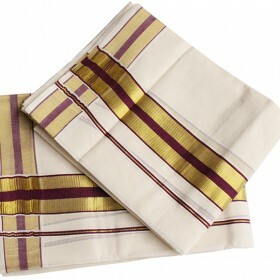 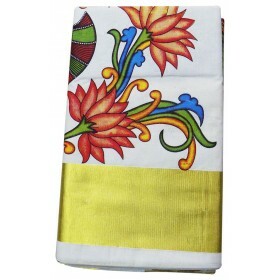 It is a traditional Cream colour kasavu saree with maroon border from malabarshopping collection. 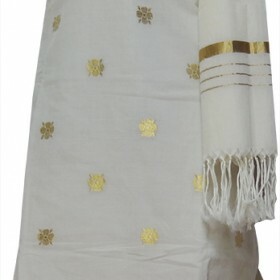 Th..
Dazzle and shine with this Kerala kasavu churidhar with off white colour and golden embroidery work on its bottom corner which makes this different from others. 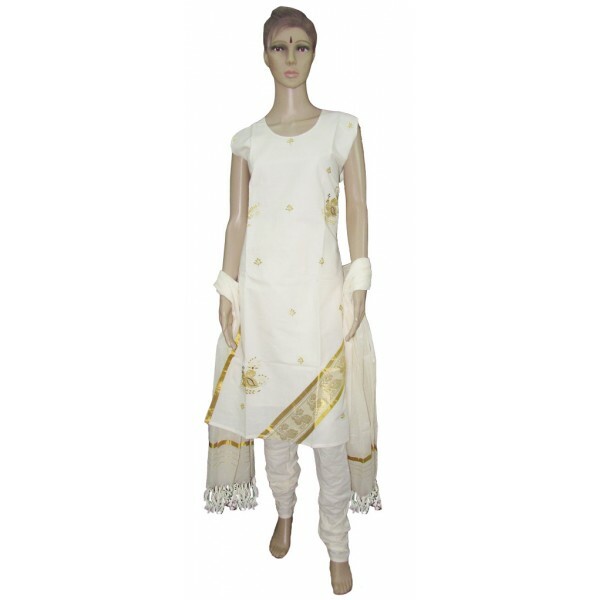 This is keen (normal) size churidhar with golden embroidery work on front part and small border on slit.it have crush pant and dupatte with kunchalam.lend your cheerful presence with this gorgeous women’s ethnic wear. 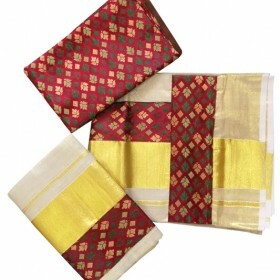 With matching jewel you look glamour’s in any occasion.seelve comes along.